The internet services giant Google has committed to powering the company with 100% renewable energy, in so doing becoming a model for the world wide web. Why the 100% renewable electricity goal? Two reasons: It is the right thing for the environment and a smart business opportunity. To date, the company supplies electricity for more than 30% of its global operations with renewables. According Google's website on their 100% renewable energy program, sources include onsite generation at their campuses, locally produced renewable power near their data centers, and renewable electricity purchased from the company's utility providers. One example of onsite generation is a 1.7 megawatt solar panel system installed in 2007 at the company's Mountain View, CA campus. The solar panels supply 30% of the power for the building on which it is installed. The project is part of the company's pilot test program for renewable power technologies, which to qualify, must meet the company's standards for being sound business moves and potentially transformative of the renewable energy industry. Google expects the pay back period for the solar panels to be six years, which makes it a good financial proposition. As an early display of large scale solar at a corporate site, the system also broke new ground and provided inspiration to adopt solar power technology. Other test projects in the program include a 970 kW cogeneration unit that uses local landfill methane, an especially harmful greenhouse gas that would otherwise be released into the atmosphere, to provide electricity and heat for Google's nearby campus. Additionally, an efficient ground source heat pump uses geothermal heat to help cover the company's heating needs. Plus three of Google's campuses use solar hot water heating for their office buildings. 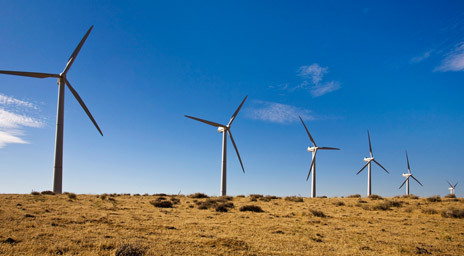 Google also invests in larger renewable energy projects to provide electricity to the company. Two of these projects are wind farms, each over 100 megawatts, in Oklahoma and Iowa that help power Google's nearby data centers. Google has 20 year contracts, called Power Purchase Agreements (PPAs) in energy lingo, with wind services company Nextera to buy power from the two wind farms, which provide clean power to the local grid, assist Nextera in filling the financing gap to its renewable energy development, and help Google move toward its 100% renewable electricity goal. .
Google also invests in numerous other renewable electricity projects that don't necessarily provide power directly to the company's operations, but which help increase the share of solar and wind power in the grid and make renewable energy more accessible. In total, Google has invested nearly a billion dollars in renewable energy. Google's green program does not stop at renewable energy. Like any smart renewable power program should, Google's incorporates efficiency measures, such as data centers designed by the company that reportedly use 50% less energy than typical data centers. Other green efforts include recycling, local food purchasing for the campus cafeterias, and a sustainable commuting program that incorporates biodiesel shuttles, electric car sharing, and incentives for biking, among other initiatives.